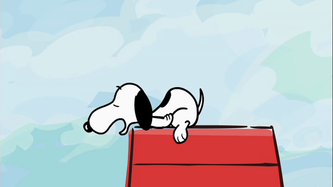 PMC2 - Snoopy And The Gang! 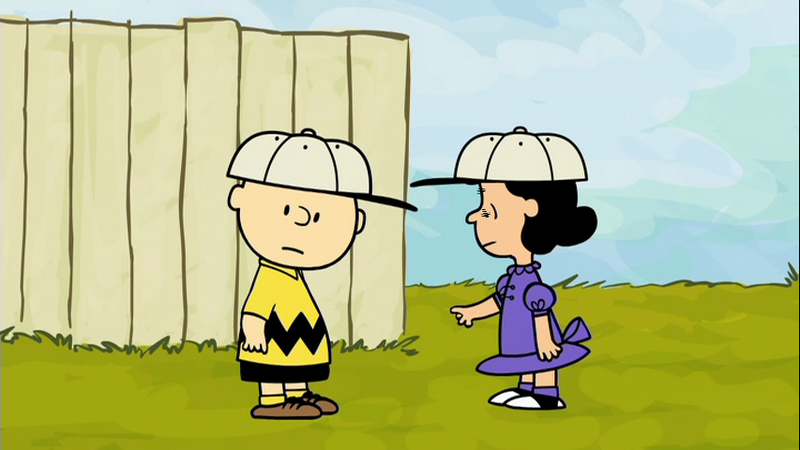 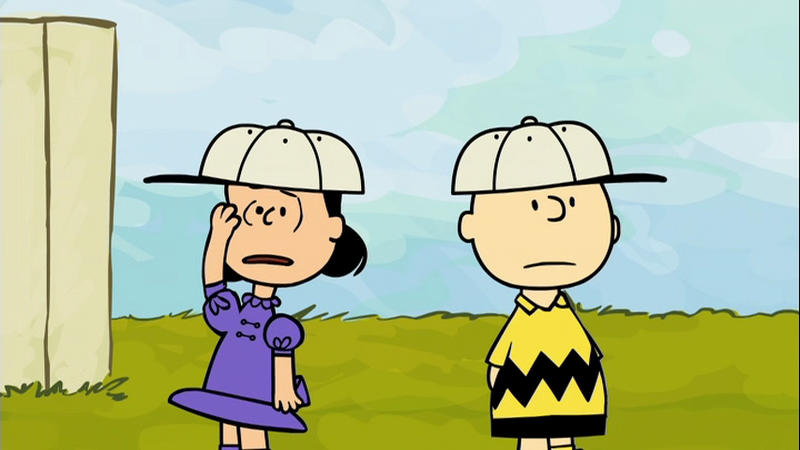 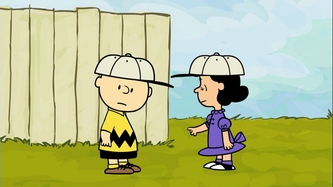 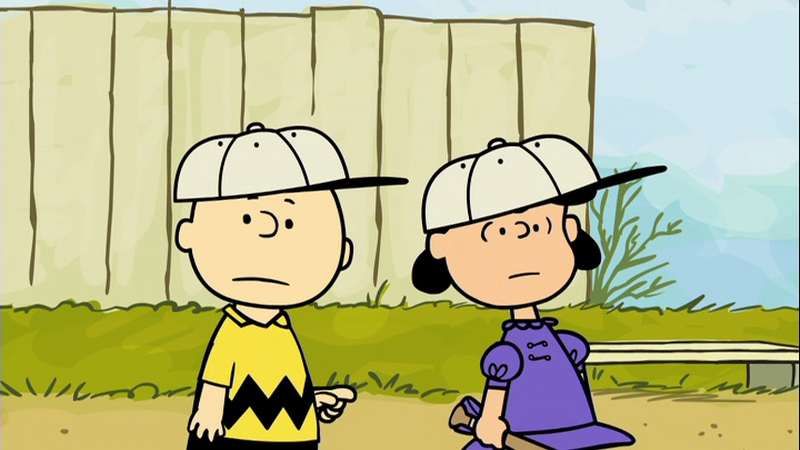 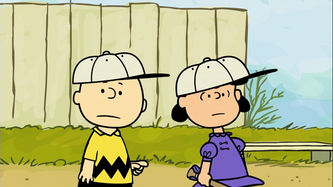 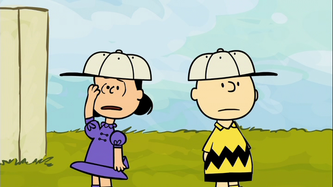 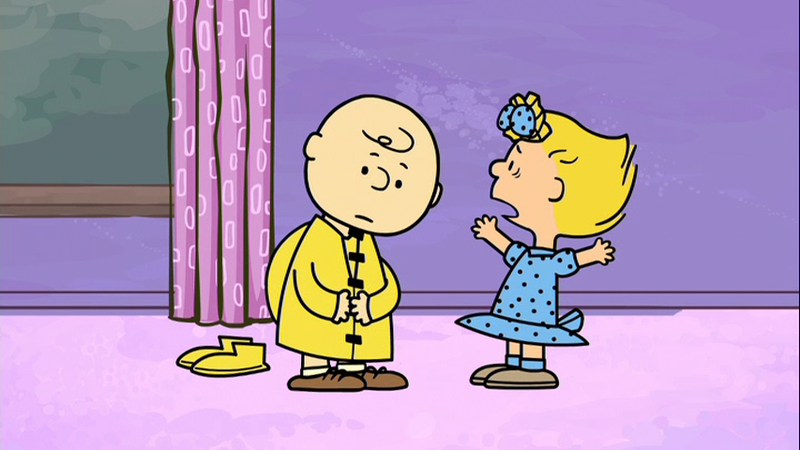 Charlie Brown explains a strategy to Lucy, but he gets her all confused. 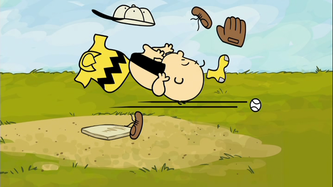 Then she asks how his arm is doing. He says he's getting better, but he's not ready to pitch yet. 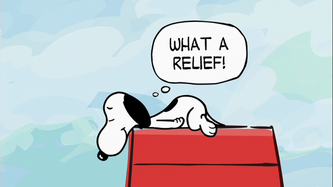 Lucy is relieved. 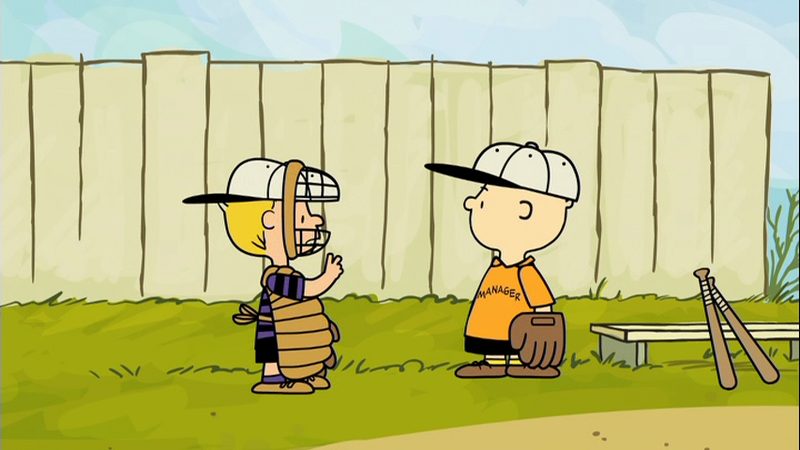 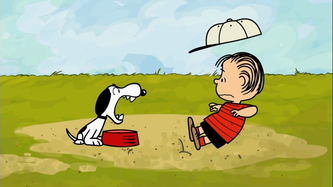 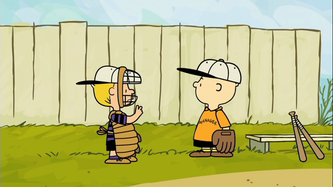 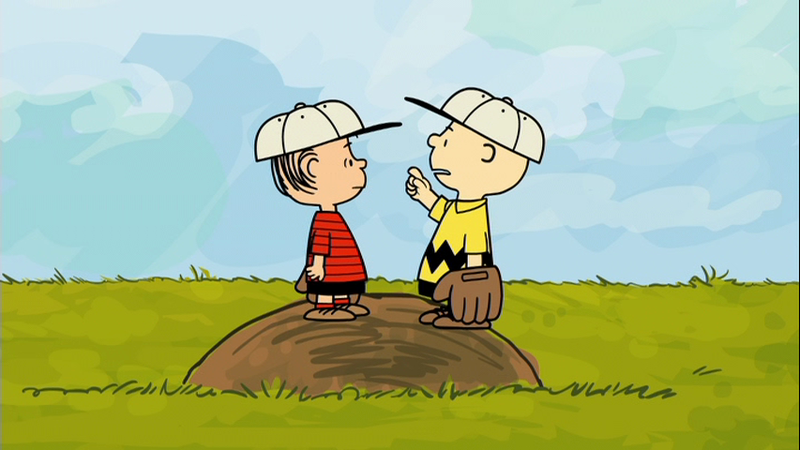 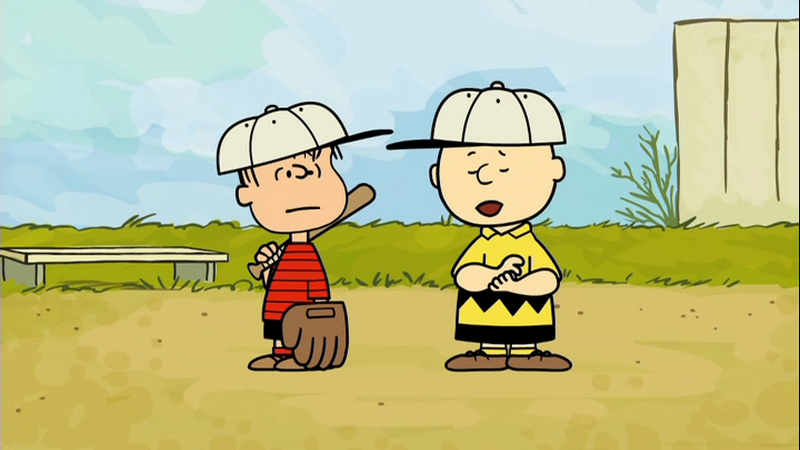 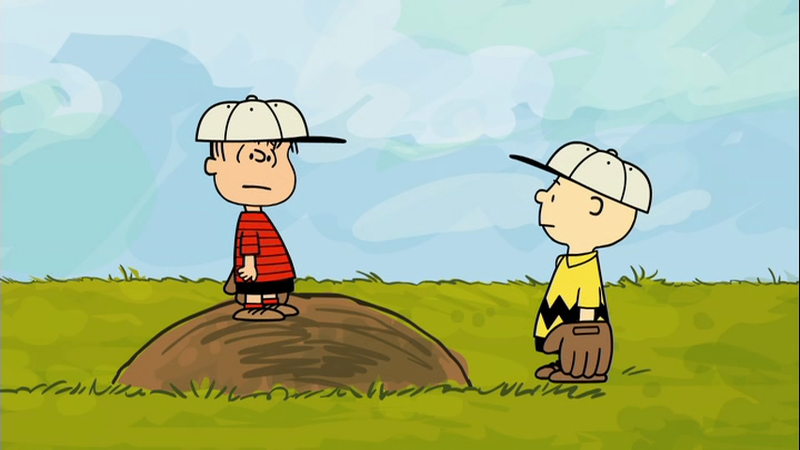 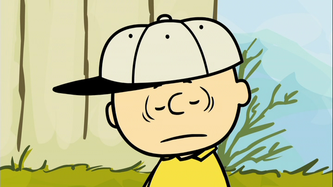 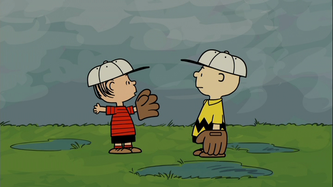 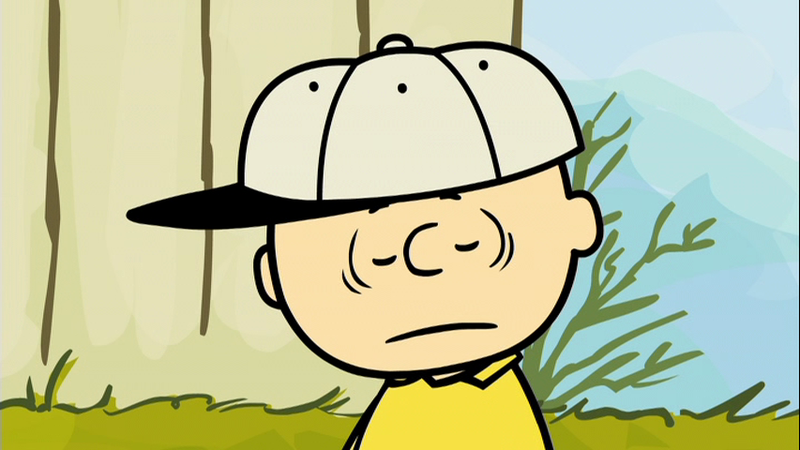 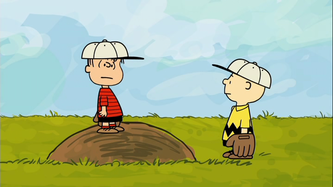 Then, Linus says he feels a bit guilty about the fact that they haven't lost a game since he started pitching. 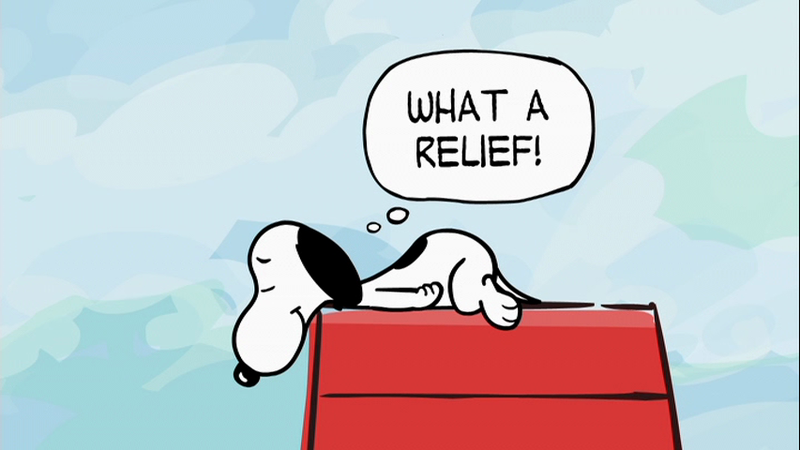 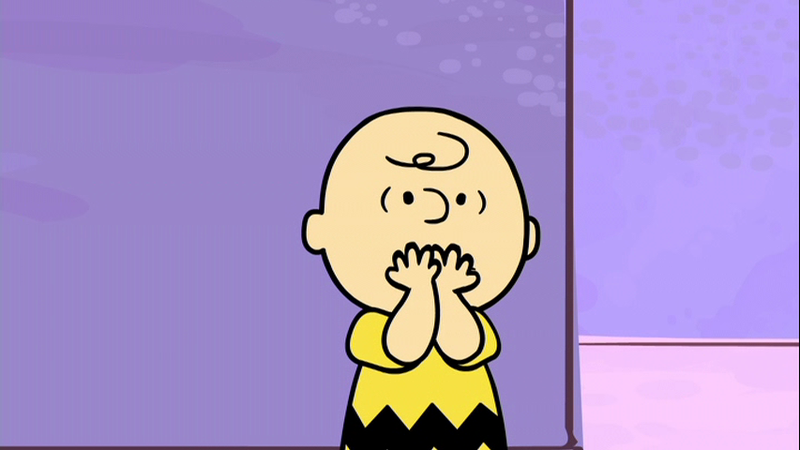 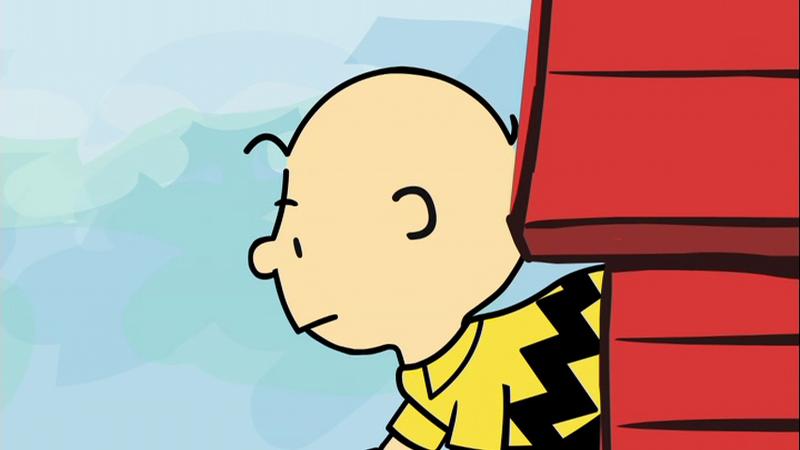 Charlie Brown says he doesn't have to feel guilty, but if he wants to feel that way a little bit, he can. 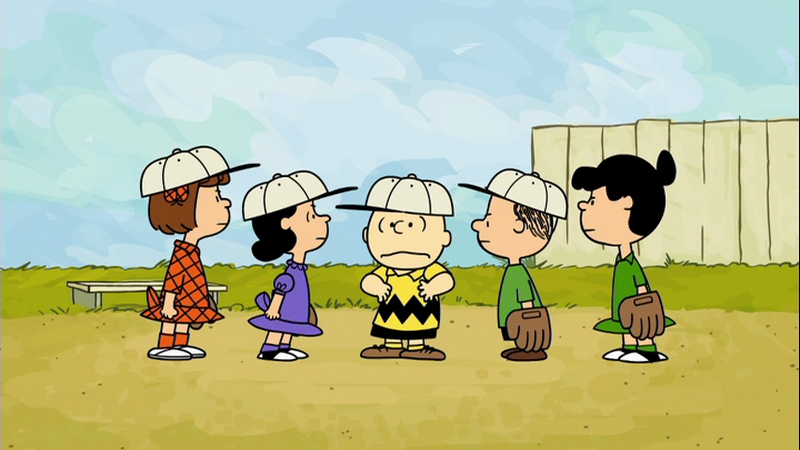 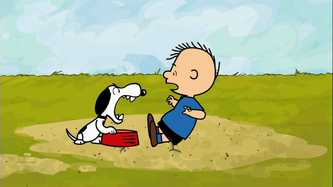 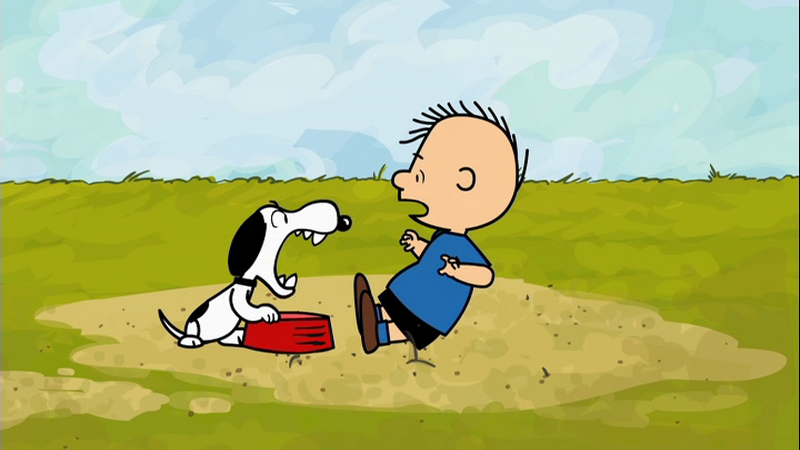 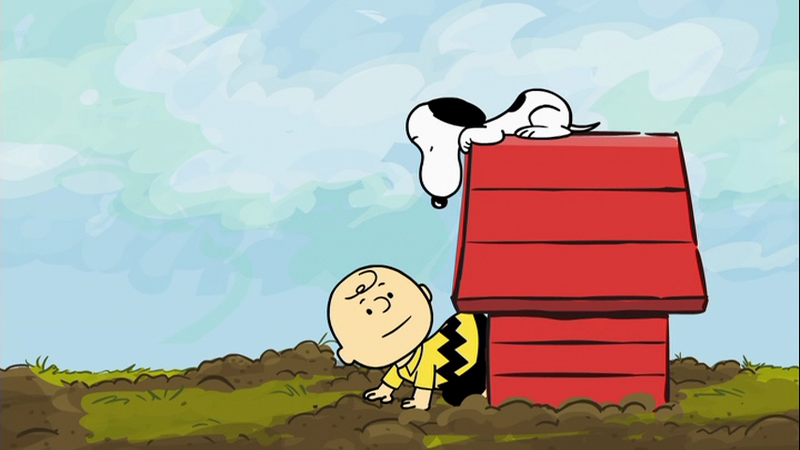 The team attempts to use Snoopy's dog dish for second base, since they're missing some equipment. This has the expected result. 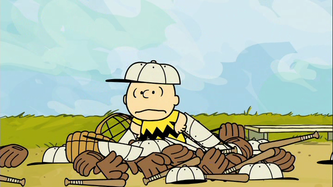 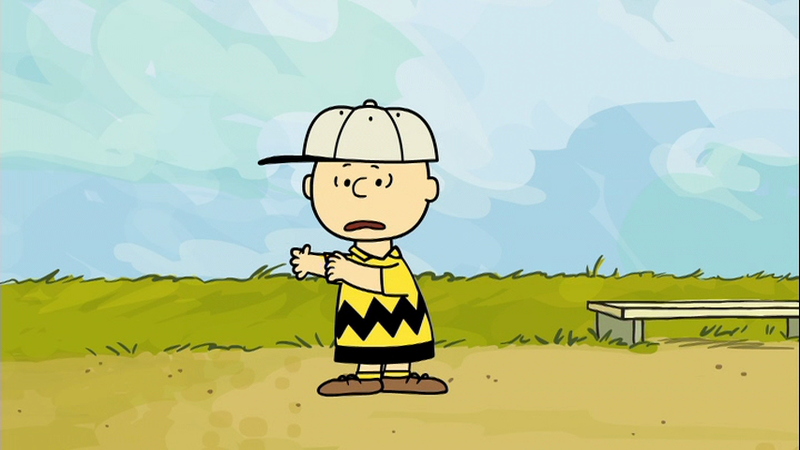 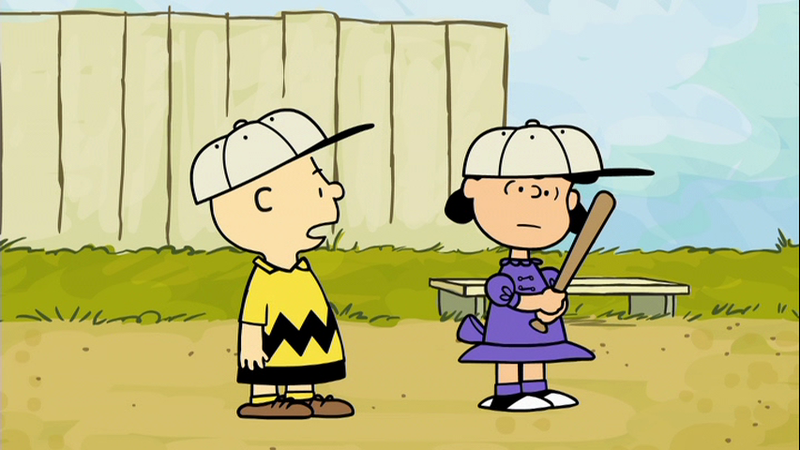 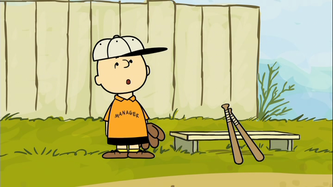 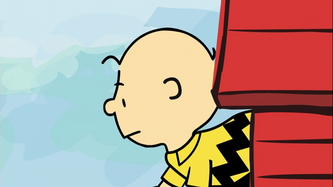 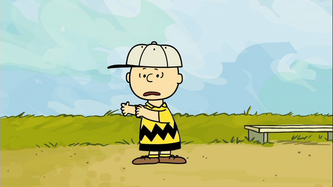 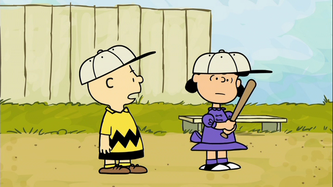 Charlie Brown says he thinks he's ready to sub as a pinch hitter. 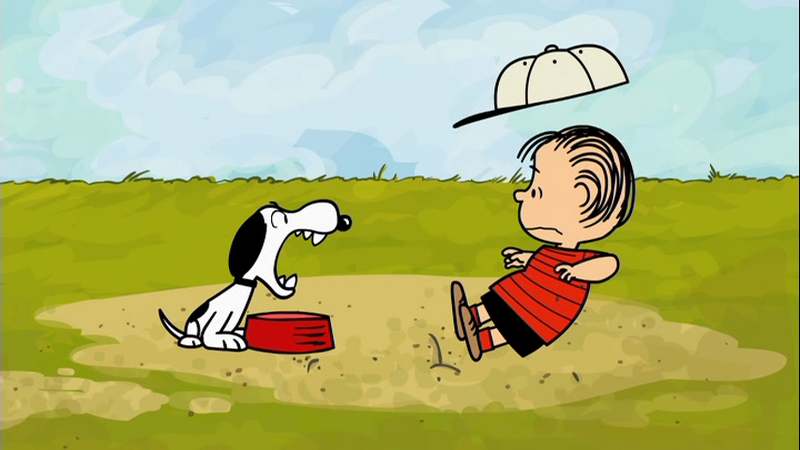 "Not for me, you won't!" 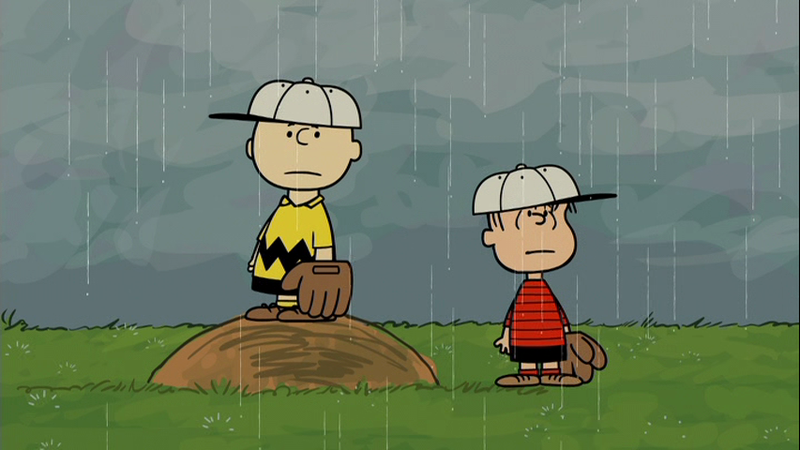 The team cries in unison. 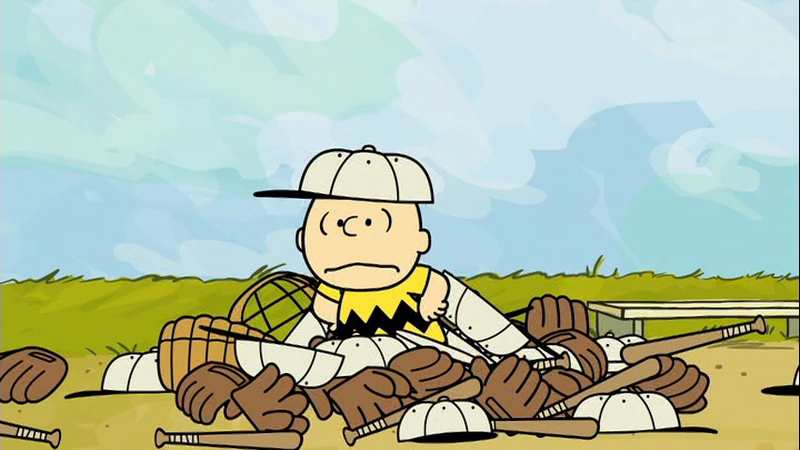 Then he decides he's ready to pitch, and the team throws their equipment at him. 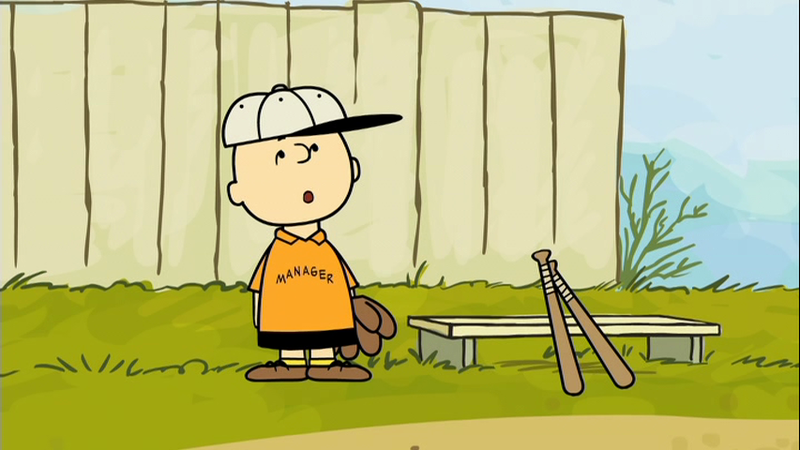 Finally, he attempts to play third base, and is promptly bowled over by a line drive. 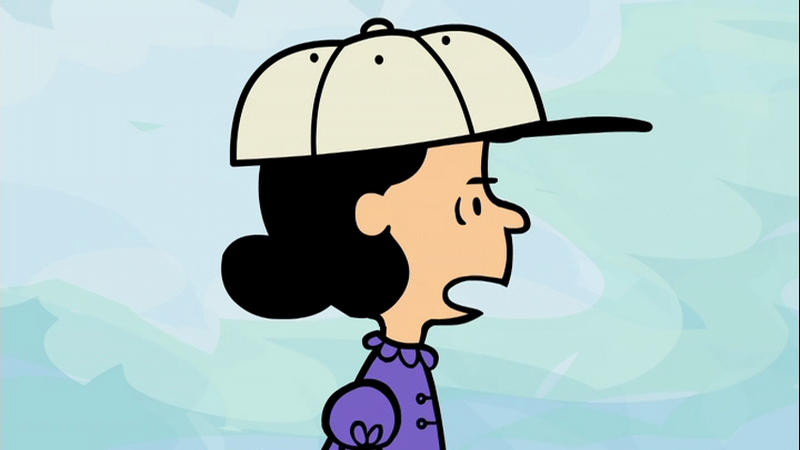 Lucy uses her hat for an umbrella. 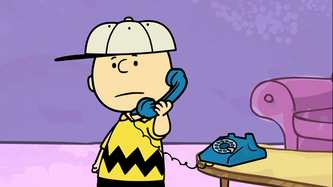 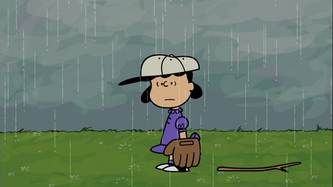 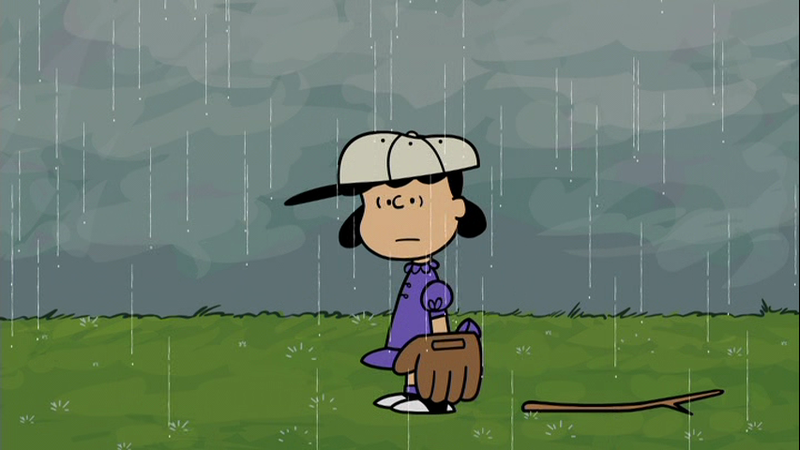 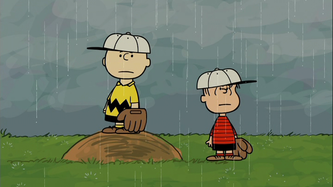 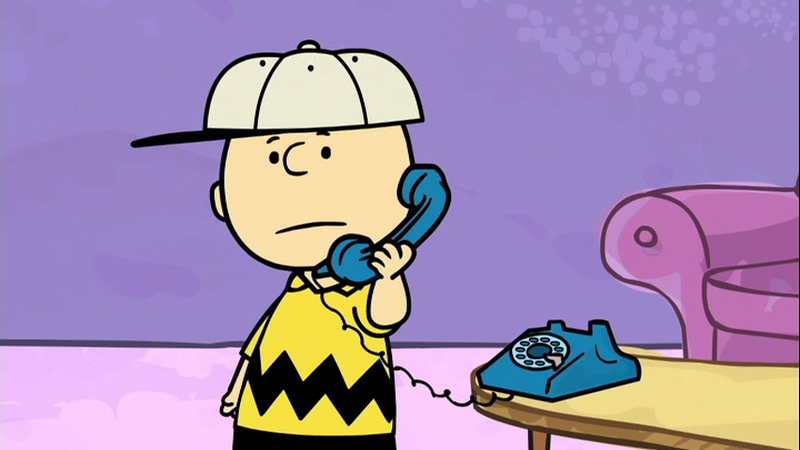 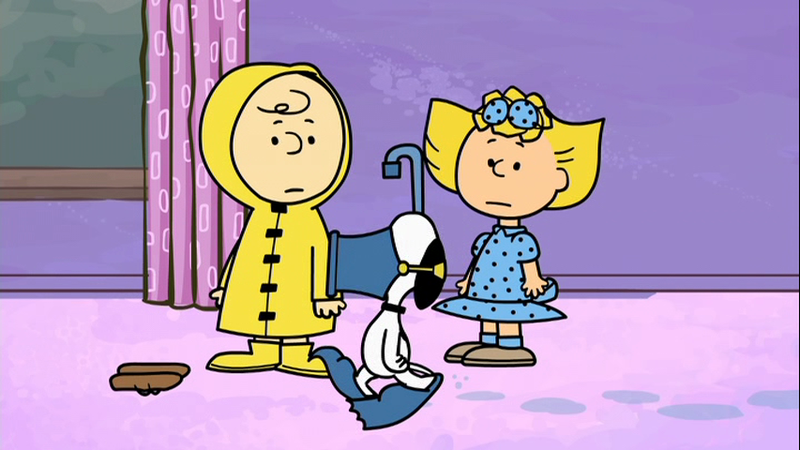 Charlie Brown goes inside and calls Dial-A-Prayer to stop the rain for the game. 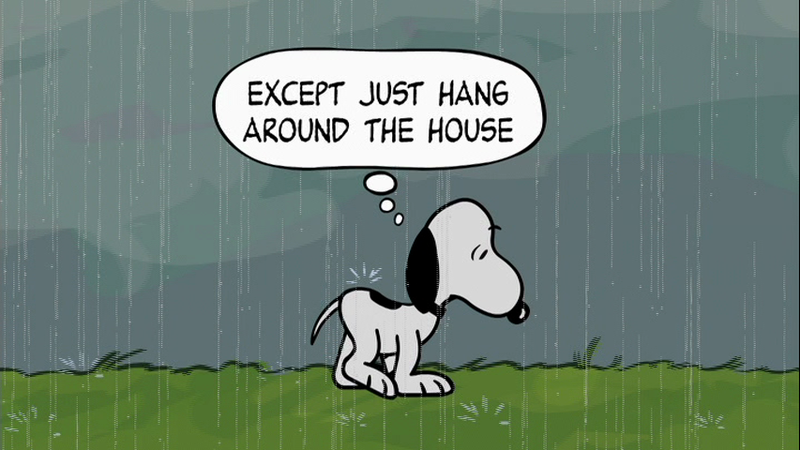 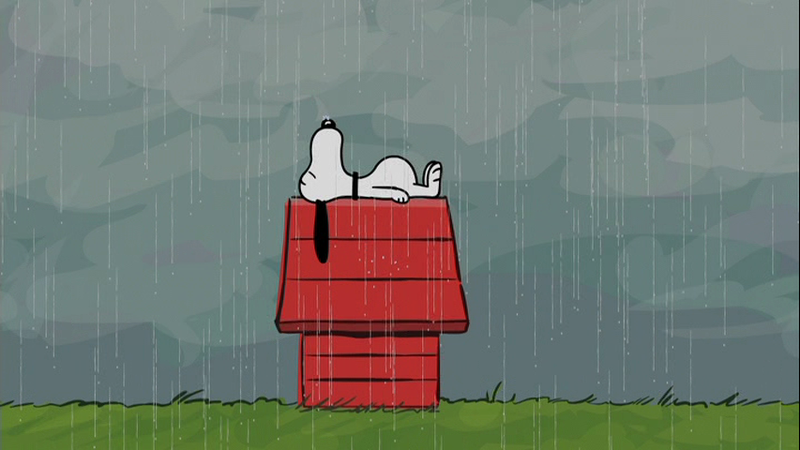 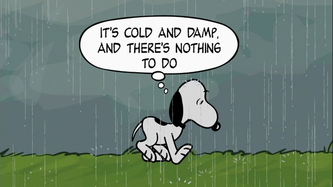 Snoopy is sad because there's nothing to do. 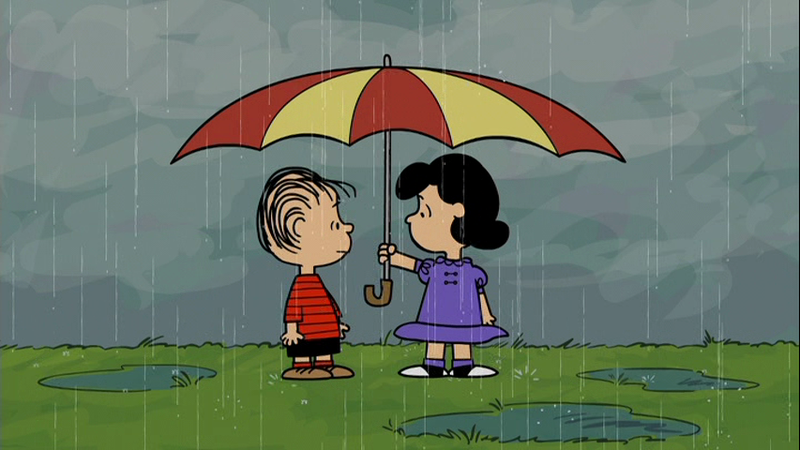 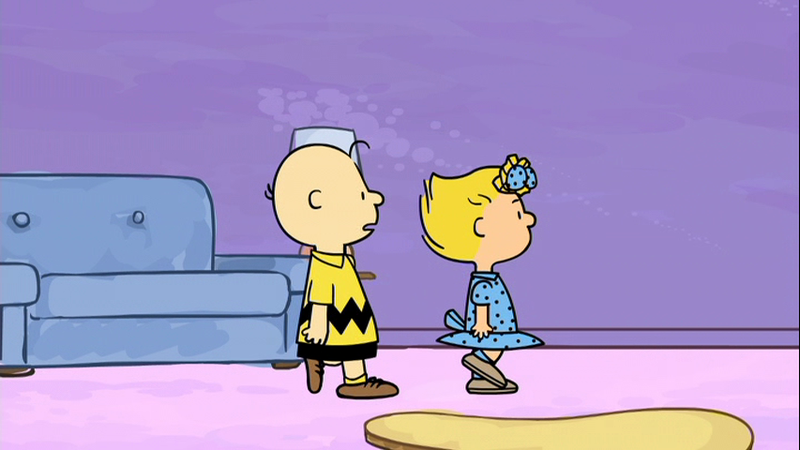 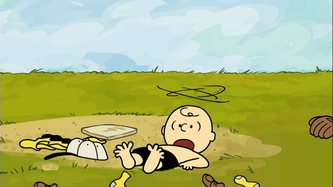 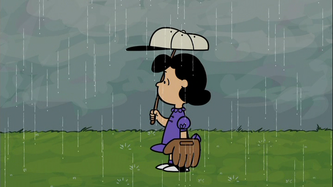 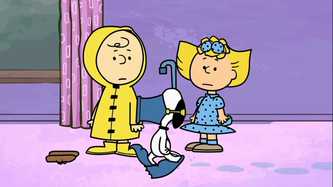 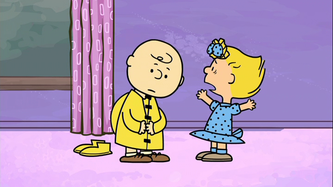 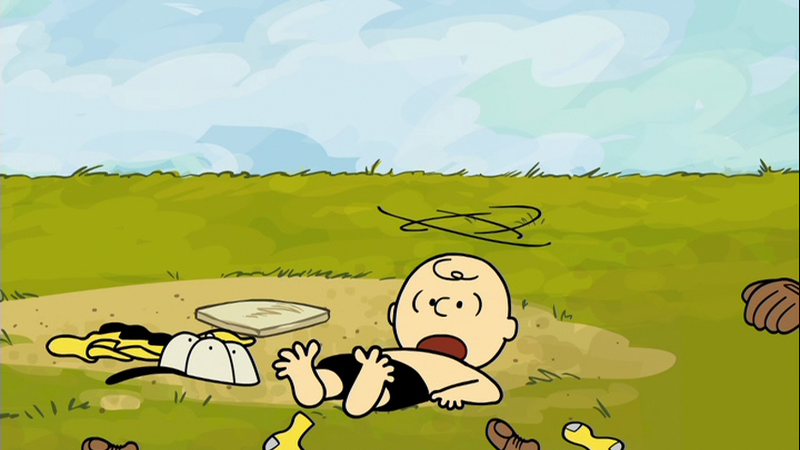 Then, Lucy asks Linus if it's still raining, but he says he can't tell because his arms are too short. 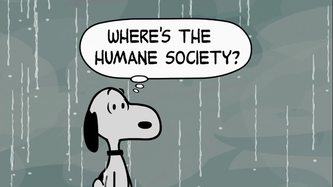 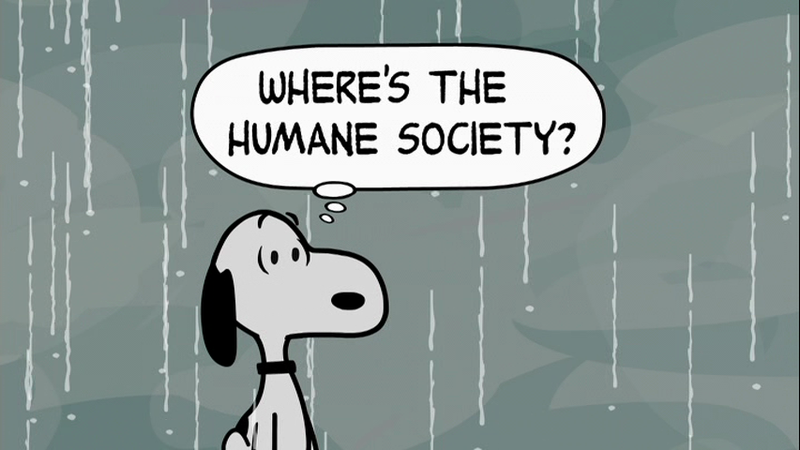 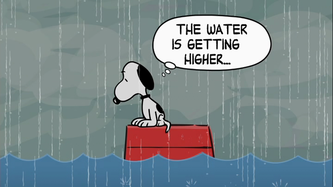 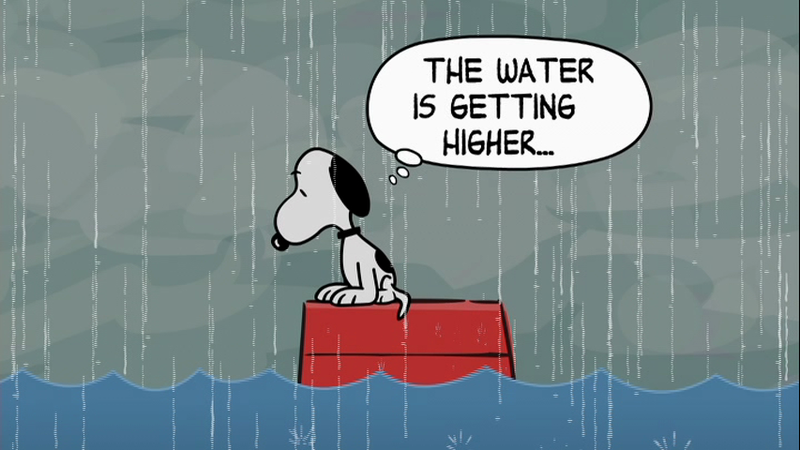 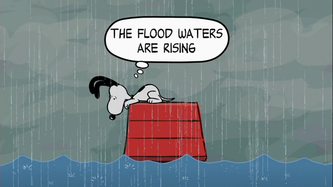 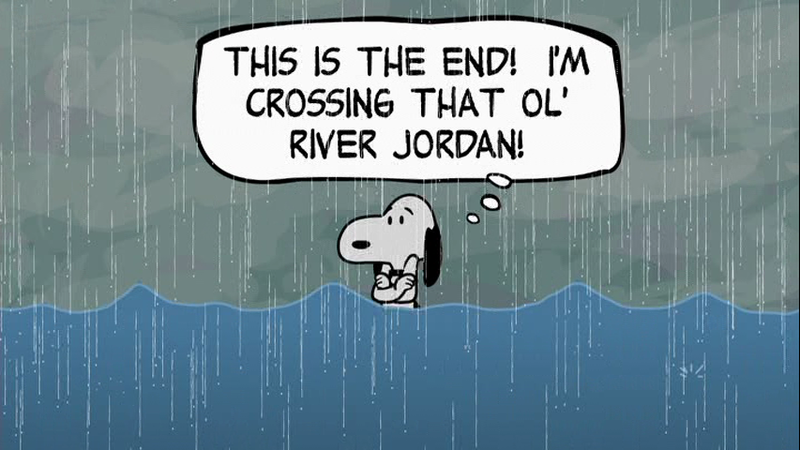 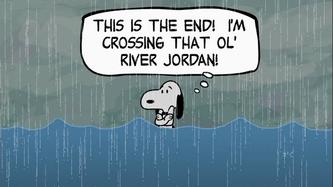 It's been raining for days and the water starts to rise, much to Snoopy's dismay. 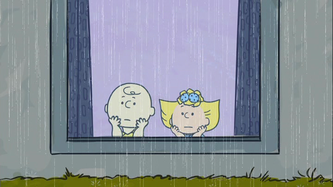 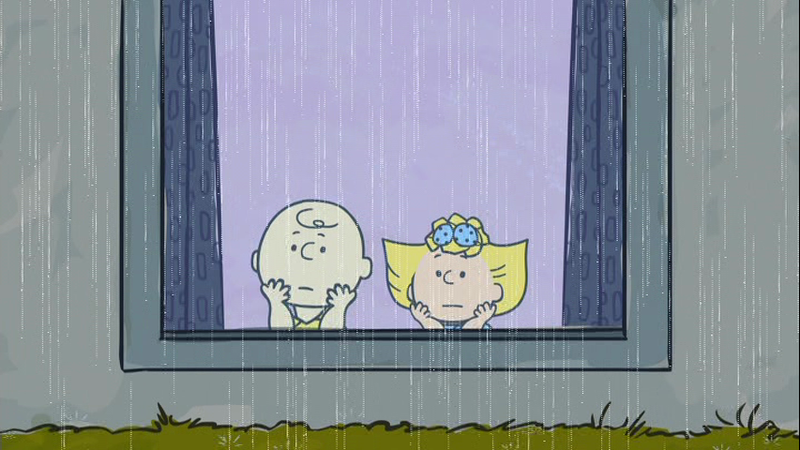 Charlie Brown and Sally are talking about the rain and how it's been coming down for days when Charlie realizes that Snoopy is out there. 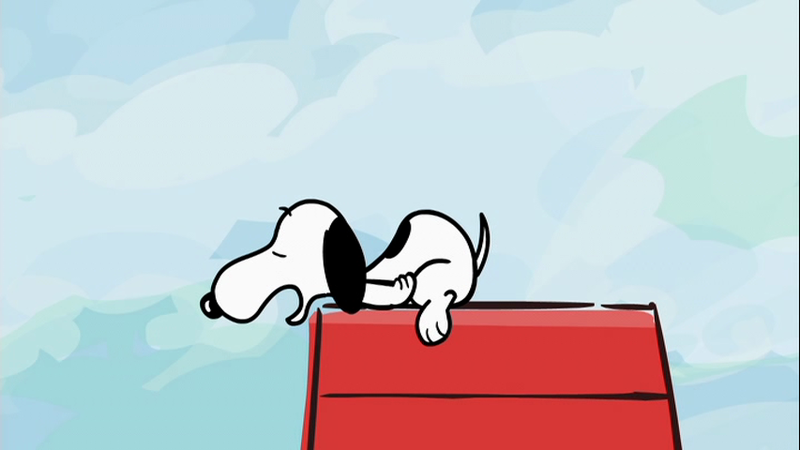 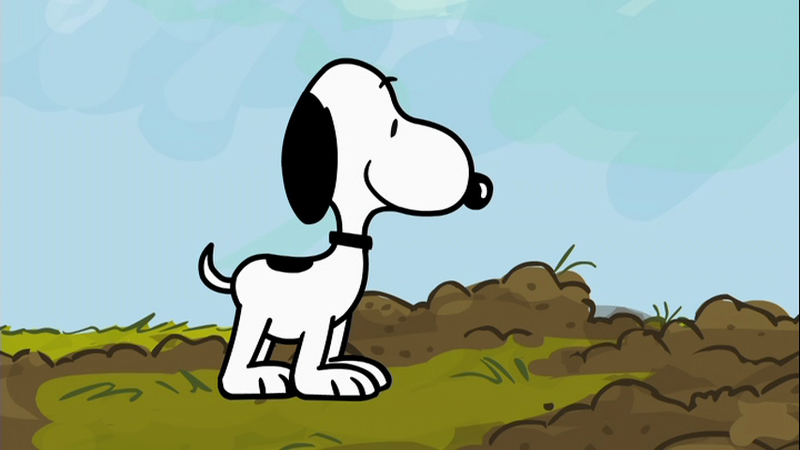 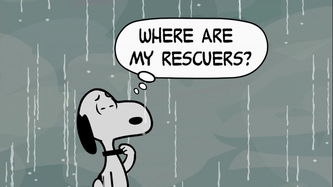 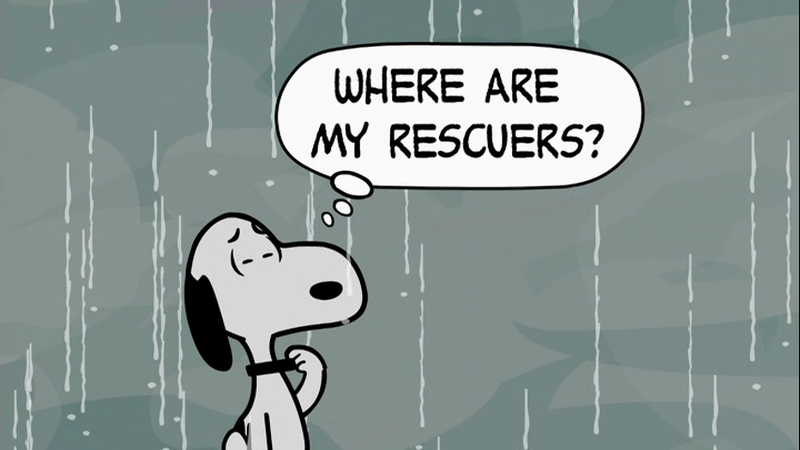 Snoopy is about to give up hope, then he decides to rescue himself. 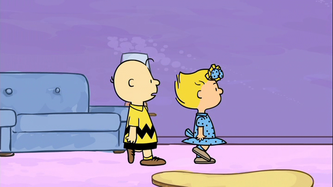 The next day, Charlie Brown inspects the damage and sees that everything is okay, including Snoopy's Van Gogh portraits.